Come See this Grovetown Home for Sale in Canterbury Farms! This adorable home is located in Canterbury Farms and includes neighborhood pool membership plus walking trails. 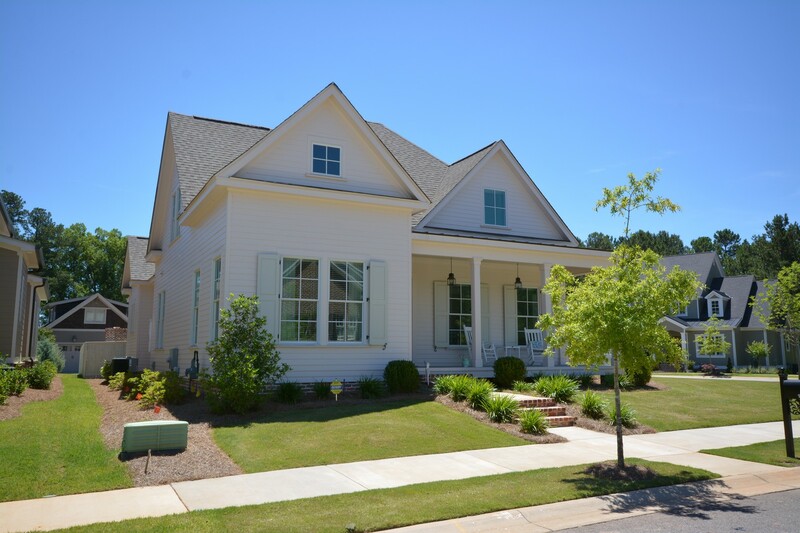 Canterbury Farms is one of Augusta best-selling neighborhoods! This energy-efficient home on Stone Meadows Ct is convenient to Ft Gordon Gate 2 and easy access to I-20. Schools for Canterbury Farms: Baker Place Elementary School, Grovetown Middle School, and Grovetown High School. Contact Susan MacEwen at 706-294-6795 to see this home today! Announcing 153 Greenwood Drive in Martinez, GA 30907! For more information on 153 Greenwood Dr or any other Martinez GA homes, please call or contact Susan MacEwen. Continuing the trend in new construction High Meadows came out on top with 7 new homes sold during November in the Grovetown 2CO area. High Meadows may continue this trend into the new year but with the neighborhood entering its final phase of construction we should see a new leader during the summer months of 2011. Canterbury Farms was the leader in the Grovetown 4CO area with 6 homes that sold. I expect Canterbury Farms to do well into next year with the addition of several new sections in that neighborhood.If you are looking to buy a home, please visit my website www.AugustaHomeHunter.com to begin your search! Please come out to see this beautiful home in The Abbey’s at West Lake in Martinez GA today. This home is a lovely Cape Cod Style with 3 Bedrooms and 2 full baths and 1 half bath. This home is spacious with 2,267 square feet of living space. The Owner’s Suite is on the main floor and the Living Room features a fireplace. Neighborhood Amenities include a club house, pool and security gate. I will be on site from 2:00 until 4:00 PM today. Houses for Sale in Columbia County GA taking too long? Tonight I was skimming over my housing statistic reports comparing last years sales figures to this years and boy does it look ugly! While the Augusta, GA area has fared better over all compared to other areas of the counter things have definitely slowed down in the housing market. Here is what I saw on my reports for both Columbia County Areas of 2CO and 4CO which makes up part of Grovetown, Evans GA and Martinez GA.
Columbia County GA – 181 Houses Sold in August 2009 compared to 149 August 2010. A 21% decrease in sales from last year at this time. Search the Greater Augusta Real Estate Listings at my AugustaHomeHunter.com site!